Welcome to Beverly! Home of the Norman Nation! 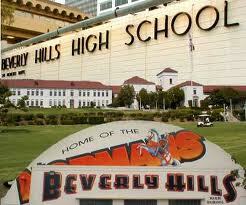 The School Counseling Department is an integral part of Beverly Hills High School’s educational framework. Our program is comprehensive by design and includes sequential activities organized and implemented by professional school counselors with the active support of parents/guardians, teachers, administrators, and the community. As a comprehensive program, it addresses the needs of all students by facilitating their academic, college, career, and personal/social development as well as helping create a positive and safe learning climate. Please review the documents below for more information about Beverly!